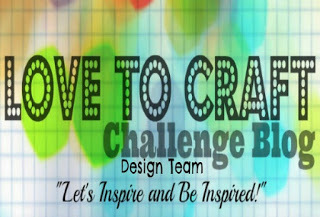 Welcome to the Fun Stampers Journey, Pink Zebra Blooms Blog Hop! I'm so happy to have you hoppin' along! 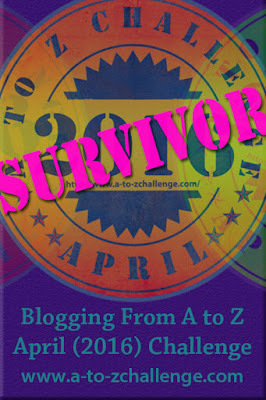 If you arrived here from Heather's blog, you're on the right track. If not, that's ok too! Just continue the hop and you'll come full circle!" Today, I would like to share two cards with you I made using the same stamp set, Favorite Peeps. 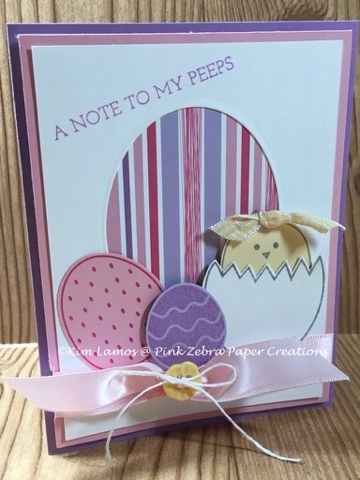 First is a card using the eggs and the chick in the egg. The chick was paper pieced with Banana Cream and Whip Cream Cardstock. The eggs were stamped with Sweet Berry Ink on Bubble Gum Cardstock and Grape Fusion Ink on Pretty Amethyst Cardstock. The largest egg is created using Spring Parade Paper and Journey Ovals. 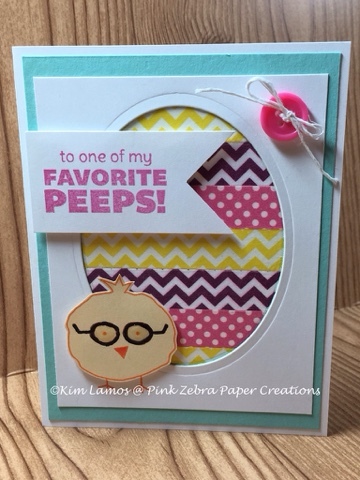 Using the Journey Ovals and Favorite Peeps Stamp Set again I created this card. Instead of Pattern Paper, I used the Bright Day Journey Washi Tape and created the pattern for the egg. This time, I used the chick with the glasses. I cut him from Banana Cream Cardstock and stamped with Citrus Cooler Ink. I added some Journey Glaze to his glasses to add some dimension. Thanks for hopping to my blog. Please head over to Sharon's blog to see what she has to share." If you happen to get lost along the way here is the list of Blogs participating in the Hop.. Darling cards! Love the fun 'peeps' sentiments on both cards, and the cute chicks! Great way to use some fun washi tapes for your striped egg also! Beautiful cards!! First one is so cute!! 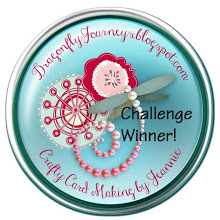 Love the background you have created for the egg with the washi on the second card! I love these cards. The washi tape idea works perfectly and this stamp set is so cute for Easter.